Everyone's happy creating landscapes, exploring textures, trees, barks, land forms, fields, meadows, water, reflections and more. We have been really busy with that and more, because who likes to stick to the same topic throughout anyway! The fun part is, although we are at it since July, we are still very keen to create more!! The parents, grand parents and friends are so very appreciating the good work that we are improvising on the techniques and to keep it going we are also trying various mediums! 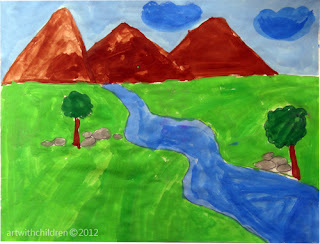 Its 'landscape mania' and we are having a great time creating! 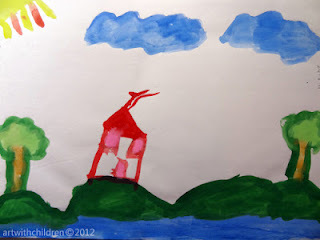 We'll post our pictures after the show off at the studio, home and school! 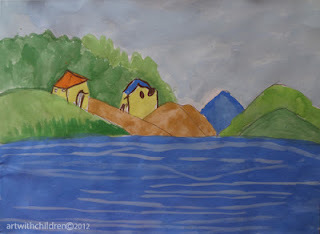 Presently we have 'Arshiya's artwork displayed on the header of our blog and we have more beautiful works below! Enjoy!!! Pink and purple clouds and fish!!! Isn't this gorgeous?! Let me try making my own landscape, says Vedaa! 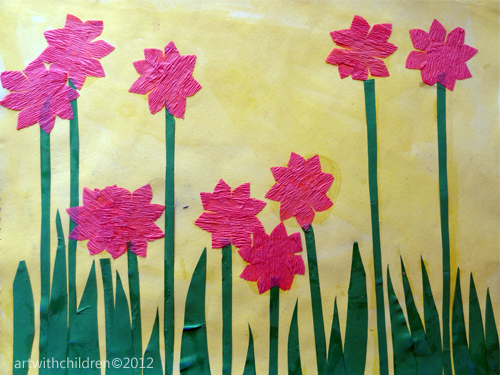 Manya wanted help in cutting paper to create her favorite pink flower field! 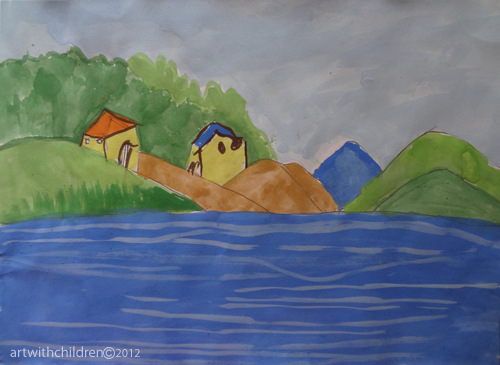 Vaibhav loves painting and likes this one a lot! 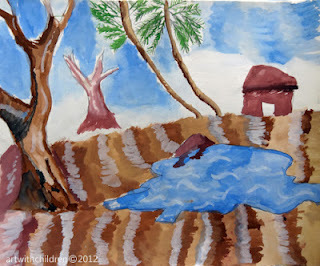 More artworks on this topic. 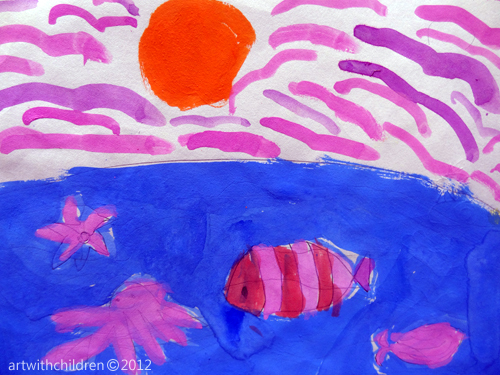 Children have been working on various topics and created such fabulous works of art during July and are continuing to do so through August! So much enthusiasm and cheer shows in their works too!